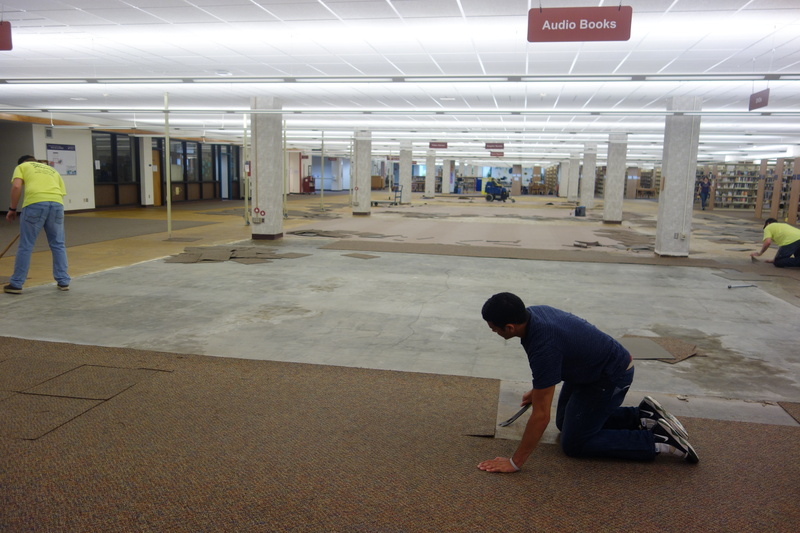 Change is underway here at the Andersen Library! 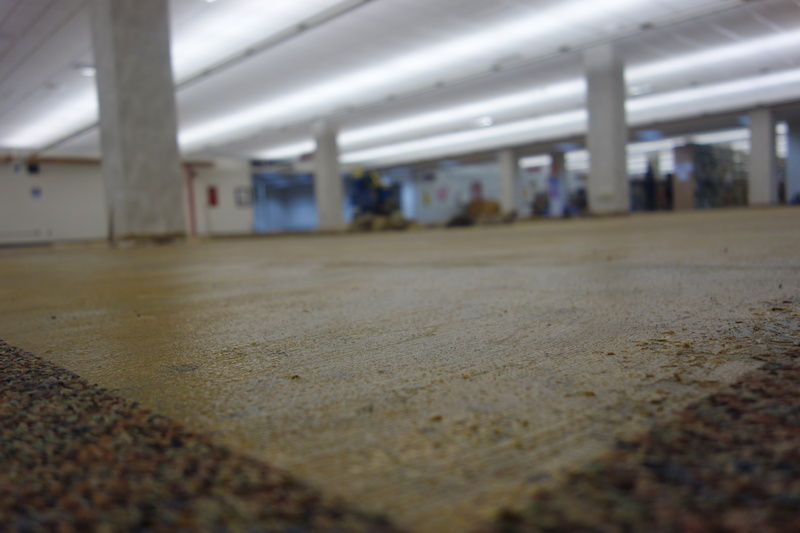 In response to the feedback of students and staff, the Andersen Library is revitalizing the second floor space to better serve students’ needs. 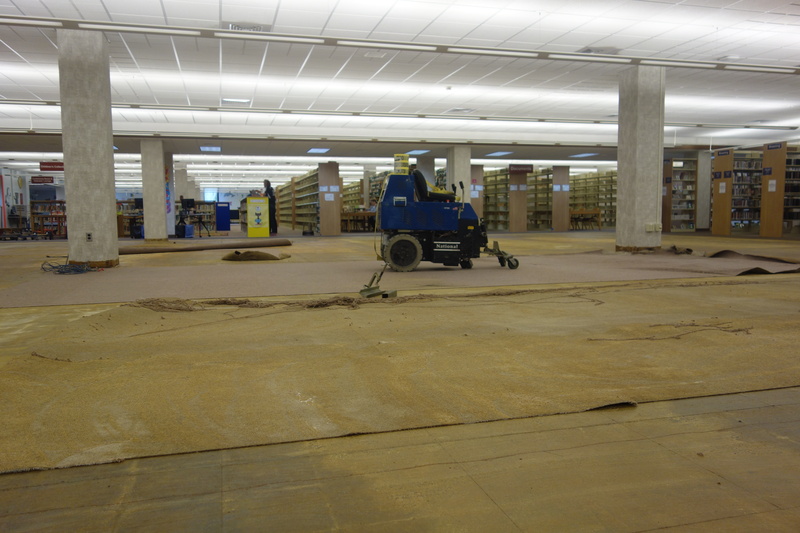 While this process includes new carpet for the space, the changes go far beyond this simple gesture. Concurrently, the Andersen Library is altering the flow of the second floor, offering more collaborative work-spaces throughout and removing several stacks to increase visibility – providing a more open concept, congruent for group work. As a result, the Andersen Library will be more equipped to provide the space that students need as they navigate the demands of their classes. As these renovations continue to move forward, access to the second floor will be limited. Although it is still accessible, many of its services – printers, scanners, etc. – have been moved to the first and third floors to limit traffic on the second floor. Additionally, the library entrance is now on the first floor, where the Circulation Desk is temporarily located, allowing patrons to continue to check out items and receive help from librarians, despite the work being done upstairs. Although this process creates temporary inconvenience, the revitalization of the second floor will foster more inviting environments for students when they return in the fall, and for many semesters to come. Students will benefit from a space that better fits their needs and encourages collaboration throughout the journey of a higher-level education. 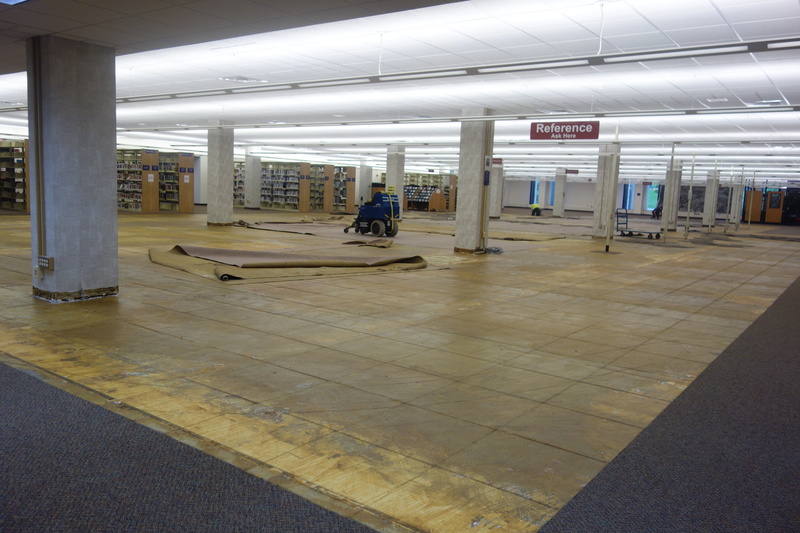 We appreciate your patience and understanding as we continue renovations at the Andersen Library! 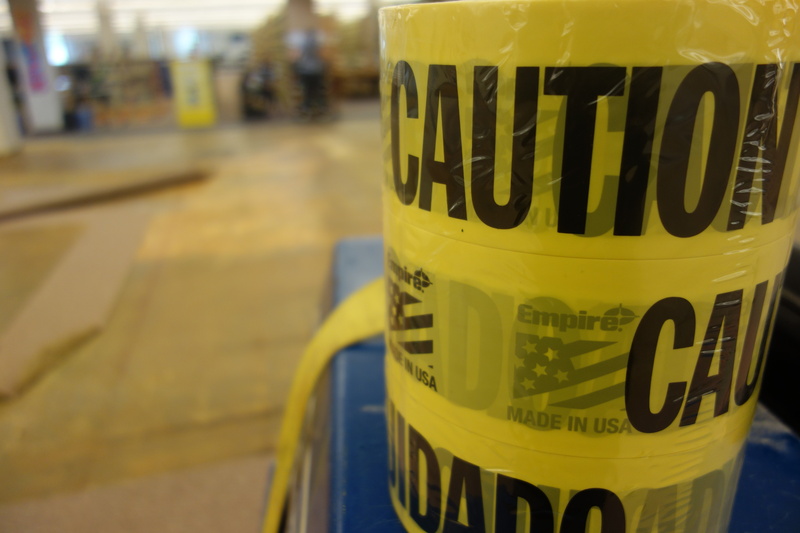 This entry was posted in around the library, uncategorized and tagged Andersen Library, summer renovations. Bookmark the permalink.